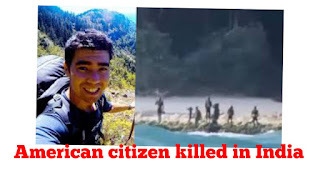 American citizen killed in India on the north sentinel island of India which is situated western side of Andaman and Nicobar island. The island is very special for tribals and it is totally untouched with outer world and tribals from island are isolated from other territory. They don’t know who is India or America. They live ancient human life. North sentinel island may have population between 50 to 400. It is 50km away western side of Andaman and Nicobar. Government of India restricted tourist to go there. Why is North Sentinel island in news ? An American tourist a visiting purpose to north sentinel island and tribals went there illegally. When he entered in inner part of island a group of huner gathered who lives there isolated from the world. 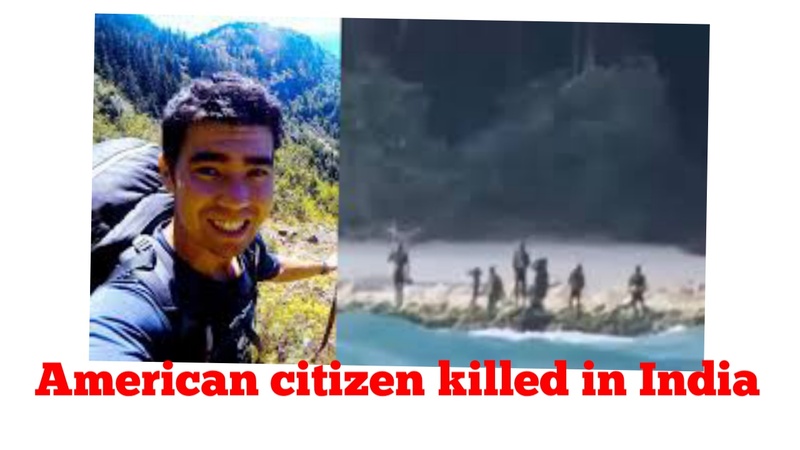 The tribals from island are known by Sentinel Community who allegedly killed the American citizen identified as John Allen Chau, after he was illegally ferried there by fishermen. Before his death he wrote on social media specially on Instagram that he is going to meet tribals and excited about it. He knew about dangerous situation but he was adventurous. Why Sentinel Community are aggressive against outsider ? It is not first time that such thing happened. In 2006 also some fishermen went there and brutality killed by tribals. To became aggressive against outsider it had history. When British came on Andaman and Nicobar for habitat purpose. They wipe out wipe out natural habitat and made places to live there for that they destroyed tree, etc and also forcefully acquired land of indigenous tribals. British also brought some disease there and tribal communities immune system could not fight against it and many tribals died and killed by British. As a result some of them ran from Andaman and Nicobar island to Sentinel island. So that’s why they hate outsider. We hope you understand why and how American Citizen Killed in India article, follow us for more update.